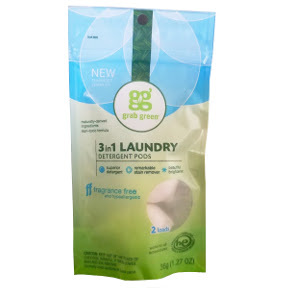 36 g (1.27 oz) high efficiency laundry detergent in sealed package of 2 pods. 2 loads. Fragrance free. Specifically formulated for HE & Standard Machines. Non-toxic, naturally derived ingredients, phosphate free, dye free. Cleans thoroughly. Removes stains. Enhances softness.